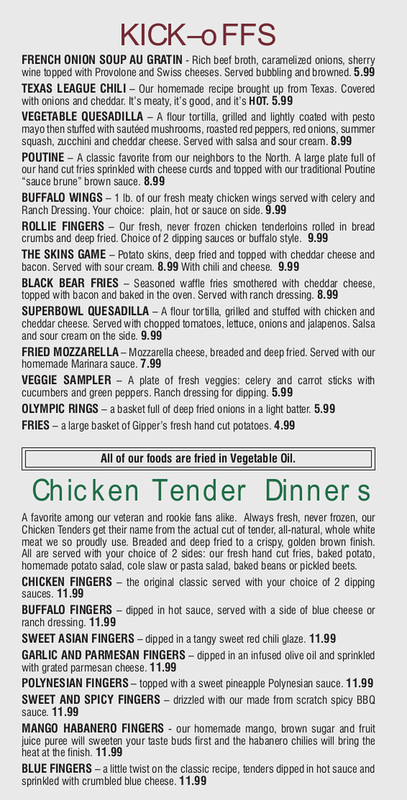 Gippers Sports Grill is Lewiston/Auburn and Central Maine’s favorite destination for great food, good company and the big game! Gippers has been voted “Best Casual Restaurant” for 12 years. 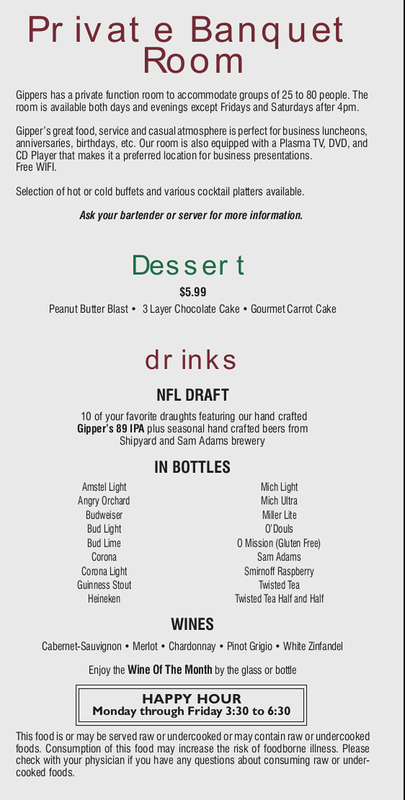 Recently Gipper’s waitstaff was voted “Friendliest Waitstaff in L.A.” Gipper’s has it all; a generous and affordable menu, a full bar featuring Maine microbrews including our own Gippers89 IPA. Gipper’s has countless HD T.V.’s and all the big screen action a true sports fan could ask for. National Satellite Trivia games let you match wits with people from all over the country. Try one of our award winning burgers too! Stop in for the best in real Maine hospitality, casual dining and an exciting viewing experience.